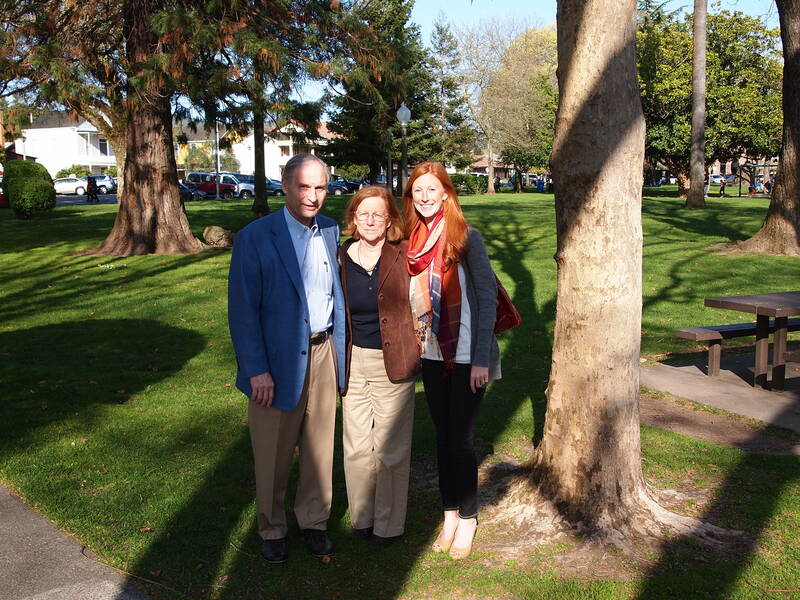 While Mom and Terry were in town for Easter weekend, we spent a lot of time exploring the wonders of the North Bay. On Friday, we ventured around Western Marin and explored the coast. 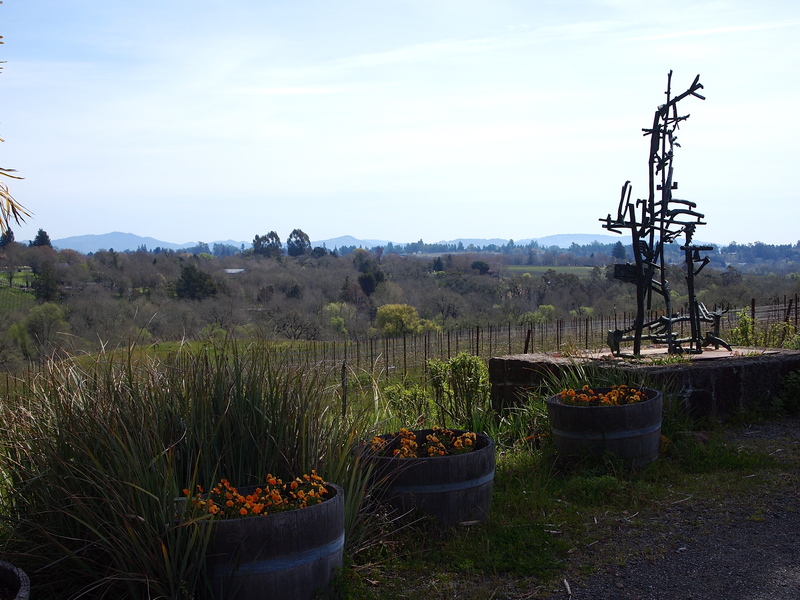 On Saturday, we visited the wine country. As with the day before, Mum and I both took lots of photos. I used my Olympus E-PL1, and Mum used her iPhone 4S. Admittedly, I am not as good with the camera as I used to be. And learning all the bells and whistles on the DSLR is going to take me some time, but it is still exciting to visit beautiful places and captures moments and scenes along the way. Our first wine country visit was actually on Friday evening before dinner. 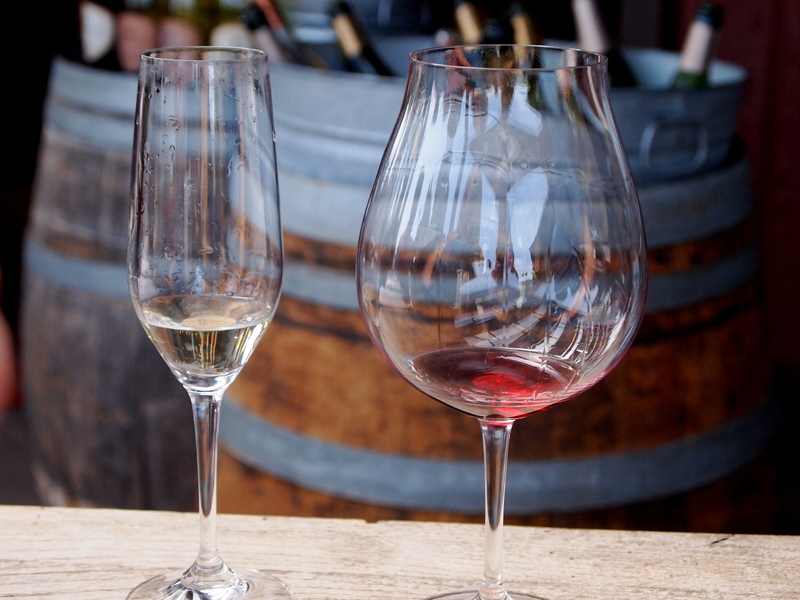 We went to Roche, a winery with delicious wines and a very conveniently located tasting room off the square in downtown Sonoma. Jake and I recently became members of the Carneros Club at Roche, so we wanted to show Mum and Terry where we love to go to do a wine tasting on the weekends. To start off our day on Saturday, we drove up to Iron Horse Ranch and Vineyard. The views from this winery are quite amazing. It is set up in the hills northwest of Sebastopol. The perfect place to start our day in the wine country. 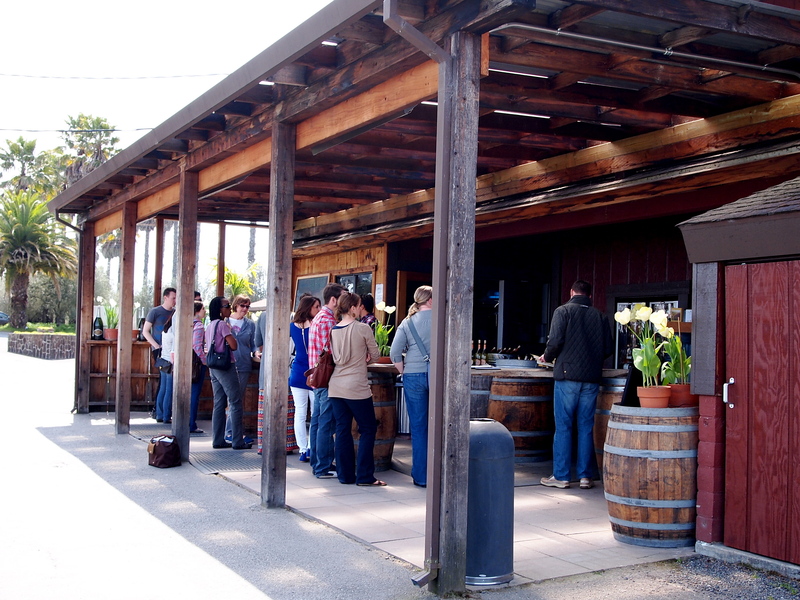 After tasting some delicious bubbly and taking in the beautiful views, we continued our trek north to Healdsburg, where we stopped for lunch at Wurst Sausage Grill and Beer Garden. Northern California has amazing food, and our Wurst sausages were no exception. With full bellies, we walked around Healdsburg. Terry occasionally pulled us aside to look at wine country real estate postings, and Mum pointed out the beautiful gallery windows. Before we headed back to the Jeep, we stopped in a little deli to get gelato. 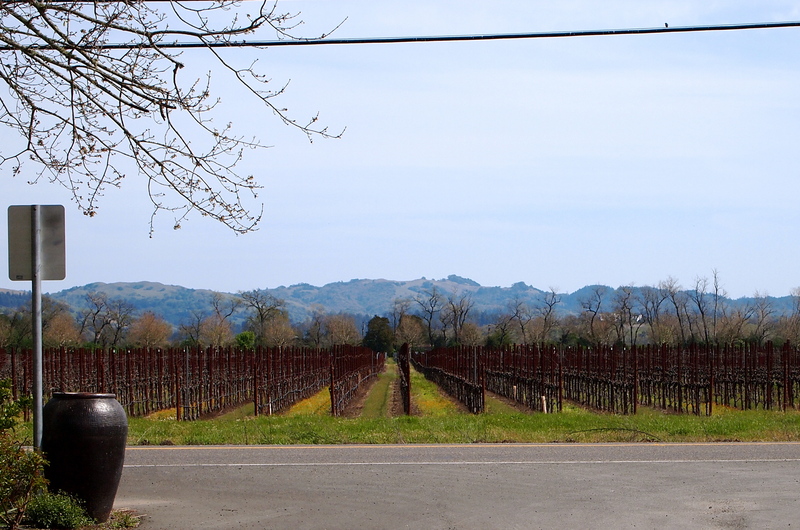 After lunch and a stroll, we continued along the way to Hawkes, a place in Alexander Valley known for its Cabs. Our experience was somewhat unexpected. Hawkes has a great view of Kendall Jackson grapes growing across the street. There seemed to be just a hint of “sibling rivalry.” The wines were great, however, so we certainly couldn’t complain. 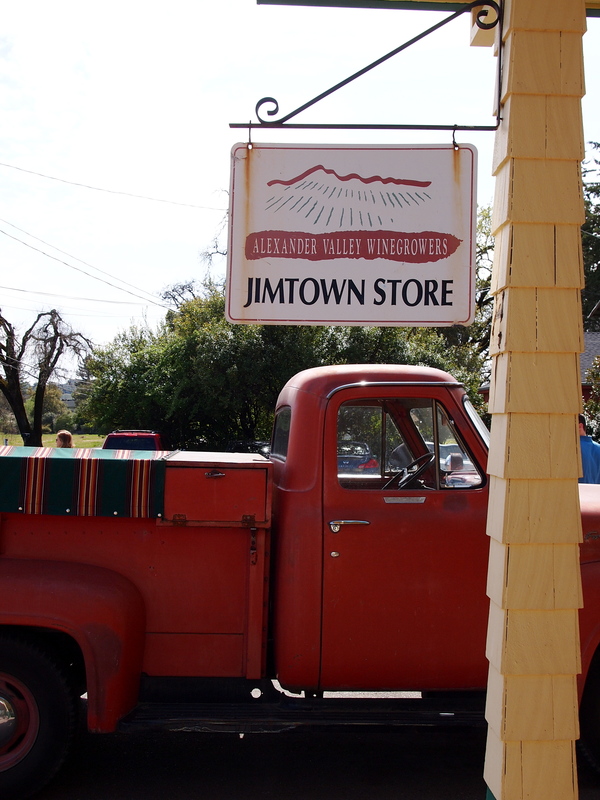 Lastly, we stopped at Alexander Valley Vineyards, a charming location perched up off the road with beautiful hills and tucked away in the trees. 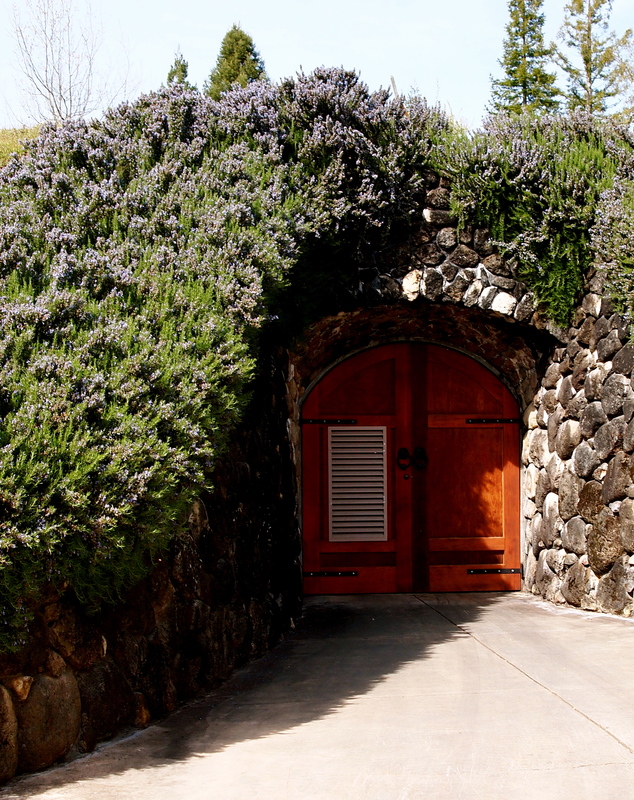 There is even a door leading to what I presume to be a wine cellar, but surrounded by greenery and flowers, it almost reminds me of Bilbo Baggins’s hobbit house nestled in the hill. The wine was also delicious. 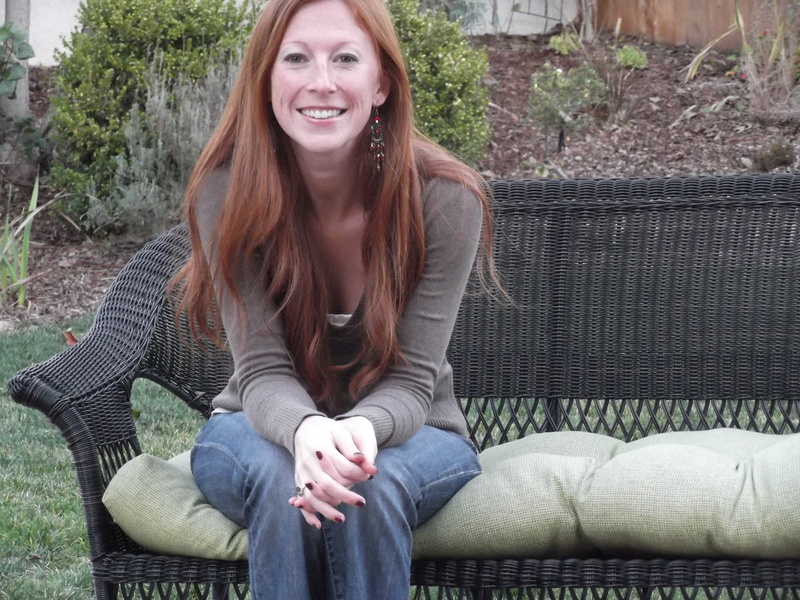 I do love exploring the wine country, and I was excited to try new places this time. There is so much to see around here, we explore a new place every weekend and still not see it all in our lifetime. Of course, that won’t keep us from trying. 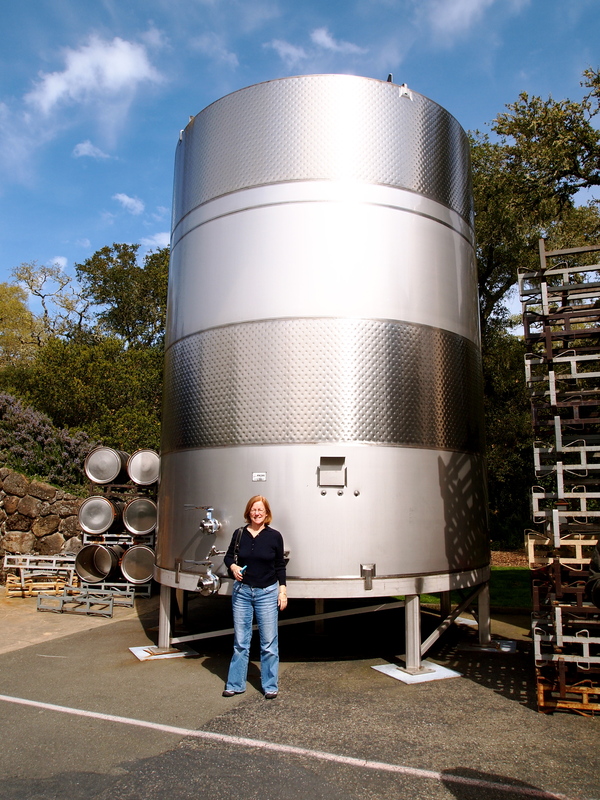 This entry was posted in Travel & Adventure and tagged Healdsburg, Iron Horse, Photography, Roche, Sonoma wine country, travel, wine tasting. Bookmark the permalink.